Consider gifting in memory of a special pet or loved one. 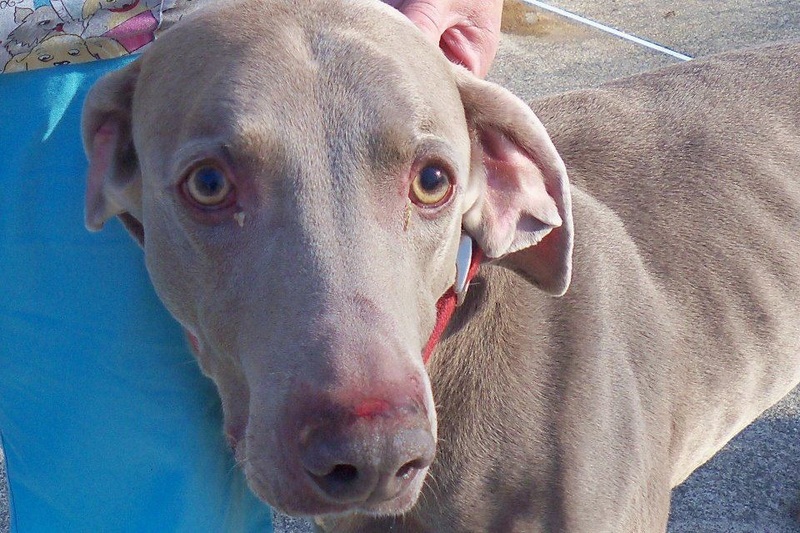 Legacy gifting will help our weims that need rescue now and in the future. You can honor him or her by making a donation in their name. We would like to share your pictures and memories of that special pet or person while ensuring we can continue our work in the future with your donation. Click on the donate icon below and choose your donation amount. Then, email terawrn@yahoo.com with a picture along with your words/ narrative you would like to share. Please note, you do not have to donate to have your memorial posted! Our dear friend Pamela Fenstermaker passed away 4/22/14 after courageously fighting cancer. She was an amazing animal rescuer and saved many, many lives. There will always be an emptiness without you here. We love you Pam. This is Barnes Silver Jack. He is the reason why we started. He was not rescued in time and was killed in a NYS pound. 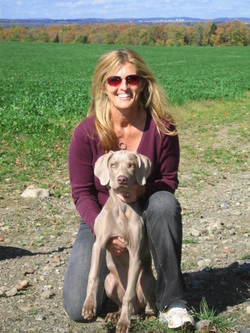 May his memory help raise awareness for weimaraner rescue everywhere. He takes off to hang out with the cows ... He loved almost all animals ... NO cats ... NO Bunnies ... Anyway ... They were scared of me so they'd run when I got close to them ... He'd run with them ... 2 hours later I finally caught him ... If I say I wasn't happy that's an understatement ... "
Thank you Loice. 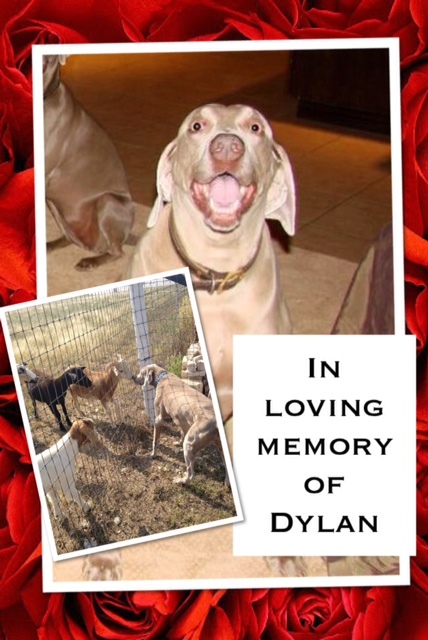 May your love for Dylan help many other dogs in need, you WILL see Dylan again. We were blessed to get Zachy when he was 3 1/2 from a family who did not want him anymore. They picked us and I am so glad they did. Zachy was a loyal companion who never left my side, no matter where I was. He made me feel safe, and loved. It doesn't feel the same with out you my sweet boy we miss you everyday. My precious Miss Lilly went to the Bridge November 7th. She had somehow contracted Streptococcus. It hit her so quickly. It was in her kidneys, bladder, and heart. UF was wonderful and worked so diligently. I was with her twice a day. On the 6th, I was able to lay with her for two hours while the docs were on rounds, just loving her and praying into her. They really thought she was going to improve. At 4am I woke up suddenly. 10 minutes later they called, a student had been tending to her and she stretched out and passed. I was able to spend an hour with her that morning. My baby came back home with me that day. I took her for her last ride down the country road, listening to Andrea Boccelli (her favorite music) sobbing! I drove to the pet crematory for a private cremation. It is a country vet. While waiting for Lisa, a young lady was there with a puppy. The little one was all my leg and my fingers in her mouth. I asked her what her name was. She said Lilly. I said Lilly with two L's? She said "Yes, Ma'am". I told her my Lilly was in the car to be cremated. In that moment I know God and the universe came together for me. My baby was ok, but I am not! 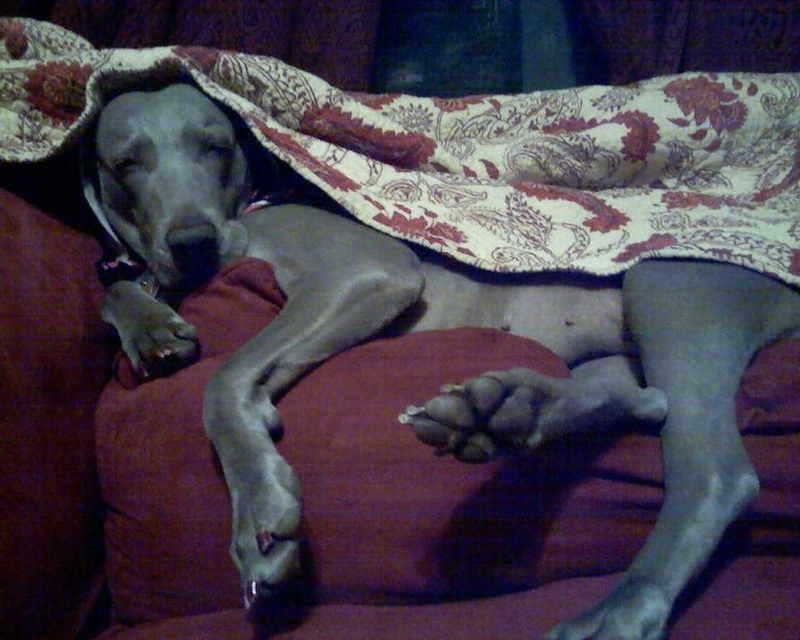 This awesome girl I rescued 8 1/2 years ago at the age of 3, was my very special Weim. This girl was my heart and soul. 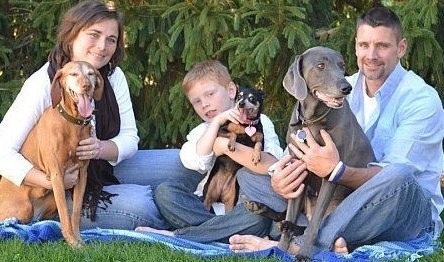 My Weim, Bubba, was in my life when my husband was alive and our son was young. I was home all the time and busy with my family. Miss Lilly and I were a team. I am so fortunate that I have a wonderful support group around me. I never knew they cared about my girl so much. It was always Miss Lilly and Kathy walking down the street. We rescued Pearl in Corpus Christi, TX in 1998. She was two years old at the time and in very poor health. She was so thin, had a fever, infection, worms, fleas and abrasions. We vetted her and brought her here to Maryland where she was loved for 14 years. Pearl passed on February 8, 2012. Even with our other much loved dogs, a day does not go by where we don't miss our sweet Pearl. Lord, do you have a dog in heaven? Is there room for one more? Because our Charlie died today and will be waiting at your door. RIP Charlie, you will be missed. 04/11/01-12/16/13 We love you! *Charlie had the most amazing parents, they are loyal friends of the rescue and amazing people... Charlie will be waiting for you Sue and Stan, look for him at the gate, you will see him again. Why sleep on my human bed when I have this ridiculously uncomfortable and small rocking chair to lay on? BECAUSE I liked to be every where you are and you were in this room. Anyways...now the pup and I get home..to mom and dad's house. Shoot! It never occurred to me in my moment of spontaneous puppy purchase that I had to deal with parents and "it's their house" thing. It's fine, I'll just keep it a secret. HA! A WEIM puppy..a secret! That lasted all of .23 seconds. Who knew that he wouldn't know how to use stairs...and when he finally did learn, it wouldn't be QUIET, but "klunk klunk klunk" on every, single step. So the parents found out...and shook their heads...and sighed..but the puppy stayed! Phew! That was close. Then I began the quest for names. That lasted just about as long as the whole puppy secret. Of course I was going to name him Dudley...after the brand of softballs..because duh...softball was my favorite sport. Atleast that was quick and easy. Dudley and I began our life together in the upstairs of my parents house. He was goofy, but so so smart. I'm no dog whisperer, but you may have believed I was when you saw how Dudley picked up simple obedience in 5 minutes..or so it seemed. We moved through college...him seeing the sights out the sunroof of my Eclipse. I graduated and found a job. But not an apartment that would let me have a dog. Devastated! So I had no option at this point and had to find Dudley a new family. And I did! The family seemed perfect...little kids, mom, dad, house, yard. Dudley and I parted ways...him to his new family, me to my new job and apartment. Sad. I missed him. And I'd drive by his new house and see him tied out on a short lead. I hated this. Don't stop reading...this gets good. So one day, about 5 months after Dudley and I went our seperate ways, I was reading the newspaper and saw this ad: FOUND, blue weimaraner, male, young, in the vicinity of This and That Street. No way this could be him. I called the person in the ad and asked if I could stop by to check this guy out and they of course oblige. I walk in their house and lo-and-behold it's Dudley. Emaciated...burns on his forhead...but still super excited to see me of course. I was sick...so much for the great little family, right? The people that found Dudley told me that they had him checked by the vet, tried to find his owner, and with no luck, they'd like to keep him! Incredible! These people were great, they had 2 dogs and a cat. They loved him and let me come see him on occassion. Downside...they changed his name to Storm...as in Storm Trooper. Sorry, pal. (Nothing against any Storms out their, I'm just not into Star Trek...or Star Wars...I don't even know which). Everything's perfect again until the one day I am talking to my landlord telling him this story and he says, "Why didn't you bring your dog with you?" Flabbergasted. The landlord proceeds to tell me I'm allowed to have pets with a little more security deposit. WHAT?! Lesson learned: Read the small print. So back to devastation mode for me. I lost my best buddy...he had to go through hell...for naught. Roughly another 5 months later, the lovely couple that found/adopted Dudley call me. Great news they say! We are having a baby, moving, and would like to know if you'd like to have Dudley back. OF COURSE. So Dudley moves into the apartment with me...makes great friends with the landlord who loved to chase him down the apartment complex when he escaped out the front window. Best buds! haha. About 2 years later, I find the perfect job, with the perfect salary...and Dudley and I make the purchase of our first house. Note: First weim proofing was done immediately with the addition of 6 foot fencing... I considered 8 foot. Continual weim proofing lasted the duration of our relationship. We loved our house. Dudley loved that all the doors had handles that he could open. Note: Hanging a leash from one handle to another works...if this does not work must use latches set approximately 7 feet from the floor. He loved the 12 foot high ceilings. Quite difficult to get the fluffy marshmellow sandwich spread on the ceiling at that height. Not for Dudley...mission accomplished...to which this day I have no idea other than that it must have involved a lot of head shaking. Dudley especially loved the lazy susan corner cupboard. So easy for him to spin! Note: Weim proofing tips, only cans can go in lazy susan...if this still does not work...nothing goes in the lazy susan. Our life continues on...without much drama...of course Dudley jumps on every counter possible so for 10 years now I've had not an ounce of food on the counter, without thorough guarding from a high IQ level adult, because Dudley can outsmart the best of them. When he did succeed..I tried yelling at him. This apparently bored him because he would just glance around the room and in the midst of my yelling...let out the biggest yawn ever...every...single...time. If the counter surfing doesn't work for attention, then he just stands on the middle of the coffee table, blocking the TV...now you HAVE to pay attention to me! I remember being in bed one night and heard noises coming from the kitchen. I thought it was a burglar. So I went to check it out...armed with my most lethal flashlight. I sneak down the steps. Still, banging coming from the kitchen. I whip out my flashlight, turn it on, and shine it in the direction of the kitchen. No worries. It was just my 100 lb weimaraner....standing on the kitchen counter....eating of the dishes in the sink. This happened so often, I just started saying, "Dudley's doing the dishes." He felt bad...when he got caught. He put on the perfect I'm sorry look...drop the head, sad eyes, slowly get down, stay sulking, perfectly pulled off everytime. Suckers! Dudley loved every pet we had, especially his rescue buddy, "Buddy." You know how they say weims have high prey drive...something about super great hunters. Our chinchilla would sleep on Dudley's back. Dudley sends his sincerest apologies to the breed for his utter failure at living up to the highly respected hunting breed, Weimaraner. Dudley hits the age of 7 and we're smooth sailing. It's my work bonus money time and income tax time. So we're expecting boatloads of money to be rolling in....and then out. Dudley ate the back door carpet. Two emergency vet surgeries, weeks in intensive care, IVs of human protein (on sale at $900 dollars for one use...we needed two), etc...$10,000 later, Dudley is back home. This is where he becomes my Golden Dudle. (Pronounced like Doodle). Now Dudley's ten. We've gone through college together, broke up, got back together, got our first great job, bought our first house, and numerous mischevious, yet awesome memories together....and then we get bad news at the vet. 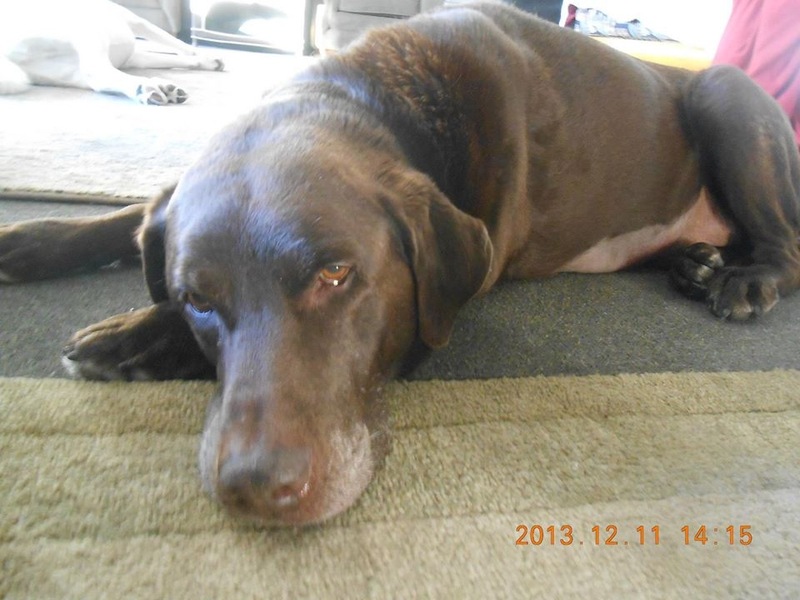 Dudley has atrial fibrillation and is in congestive heart failure. So Dudley and I begin a weekly hike to the vet for treatment. Daily doses of meds at home. He's not happy, I can tell. I'm anguished myself because I'm having a really hard time making THAT decision. This is a weird story, I'm not a religious person, but this is even out there for me. Sunday, November 24, 2013, we're all outside on the back deck, Dudley and the other dogs. And all of a sudden this flock of like a 1000 birds lands in the yard, trees, anyplace they can sit. They peck the ground a couple times...and then this sounded like an air liner taking off. They all start flapping their wings and fly away. My partner and I were like" um what was that?" But I'm glad she was there so people will think we're both nuts when we tell this story. After this happens, Dudley goes in the garage, which is odd, he doesn't do that. We get him out and close the garage door. Later on, it's bed time. Dudley comes to bed then goes downstairs and I hear him go out his doggy door. I go out in the back yard to see what he's up to. Dudley's pushing around leaves in yard. I don't get what he's doing at the time so I coax him back into the house. I sat in the kitchen with him and began to tell him stories, this same story to him. He walks into the living room. I walk in, turn on the light, and Dudley is laying on the couch, just falling into his eternal sleep. I comforted him, so glad I could be there for him. I miss him. Alot. I know I'm not ready for another forever dog yet..but I look for one, I look for him. I know how disappointed I will be when I get another dog, with every expectation that it is Dudley, but it won't be. 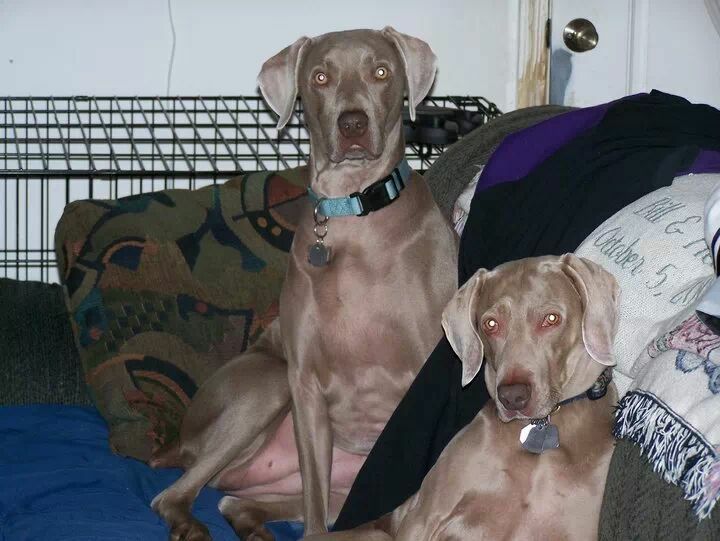 I know there will never be a Dudley in my life again, but I know and learned that weimaraners are my dogs...they are smart, beautiful, mischevious, and the most loving dogs I've ever had. In Dec of 2003 a woman I worked with (her daughter) worked at a pet store in a mall near us. Her daughter would tell us of the dogs that would not get purchased would eventually move on to much worse situations. We went into her store one night while we were Christmas shopping (never looking for a dog). We had a couple of cats at home. They had a Weim in there 4 months old that was getting too large for the kennels in the pet store and would be moving on. It was love at first sight. Jake chose us, not us choosing him. I have 3 children who at the time were only 5, 8 and 9. We all fell completely in love with one another. As I am sure you know the Weim breed is notorious for separation anxiety. We never gave up on him. We persevered and taught him well. He learned to wait for us when we got home and always knew we would always come home. He would be laying in front of our front window waiting for us to pull up. It is one of the things I miss most when I come home at the end of the day. Both my husband and I work full time. My husband now works from home quite a lot so in Jake's later years he was just loving being with his daddy. They were joined at the hip. My husband is a bird hunter and trained Jake himself. Jake loved to run and my husband took him to the woods in Medford NJ here all the time and ran him a few days a week. We belong to a dog club called the English Setters Club of America where there is over 500 acres of ground for the dogs to run and train. Jake lived to please my husband Tim. They were best buds. Same for my son (who was only 5 when we got him) they would wrestle and play on the floor all the time. We just lost Jake on January 15. He died in my arms completely on his own. We aren't quite sure what happened because he was in the care of our vet at the time he got sick. Our vet also Kennels dogs. We hadn't gone on a family vacation together in over 8 years. We left Jake with our vet and he became ill while he was there. He was perfectly fine when we left him. I believe he probably made himself sick initially but maybe the vet missed the possibility that he had bloat. We were always careful and fed him 2 light feedings a day. We excersised him regularly. 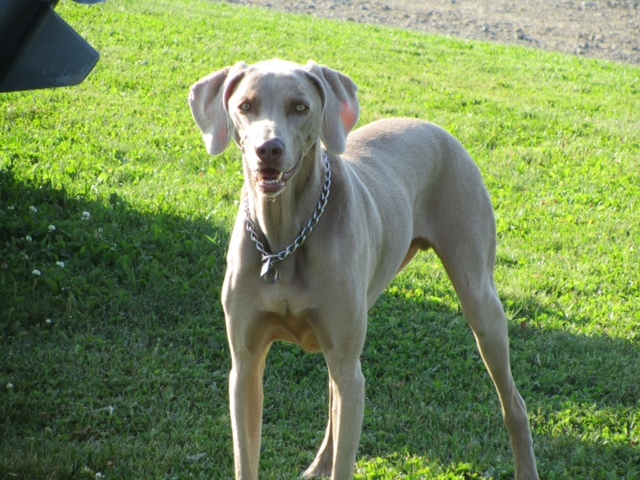 He was in unbelievable shape for a 10 1/2 year old Weim and we believe that we still had many more years left with him. We are literally lost and devastated. We also feel a tremendous amount of guilt for leaving him. My husband especially. I came across you webstie by chance and think it is wonderful what you do. I donated for that reason but also wanted to share my story with someone else who just loves that beautiful dog. I have attached a picture of Jake. A picture shot with him waiting in the window for his daddy to come home. We miss him so much. Shylo was the love of my life. My children were grown and gone and my husband is very busy with his business. It was always Shylo and me. We travelled back and forth between Maine and Florida twice a year and he had done that since he was a pup. He never asked for pee breaks, took them when we got fuel, was happy in the middle seat of the Tahoe (it was all his and never had any kind of bag or box in it), loved the hotel stays and was the BEST dog I had ever owned. In the summers, he had 2000 acres of farm land that he could explore and in the winter, he basked in the Florida sunshine, played in the ocean and loved the trips out in our boat. He had just turned 6 when he developed an immune disease that quckly took over his poor body and was dibilitating near the end of his life. It was on a Saturday morning that he looked at me with those beautiful eyes and said he'd had enough. Enough blood draws, enough needle sticks for the various injections, enough with the pills and Most of all, enough of the fantastic Vet who had practically camped out in our home that last summer of his life. He'd had enough. I honored his life by making the decision to end his suffering. It was the most difficult decision I had ever made but in my breaking heart, I knew it was the right thing to do. I had my precious Weim cremated and he made the trip back down to Florida with me, sitting in his spot and as always being the super weim that he was. I have a table honoring his life with his urn and photos of him I will never forget this wonderful dog and I look forward to seeing him again someday. In my 60 years, I have never been touched in such a way. So, this is just a brief summation but you must know how special this breed is. I don't know that I will ever own one again but I do know that my life was made richer for having Shylo be part of it. You were my best friend and when you left a part of me went with you. I hope I did right by you my boy.